Only 1 Set (6pcs) Available. Order Soon. Jurassic World Bouncing Balls make every other party favor seem practically prehistoric when you thank guests for attending your dinosaur birthday party. 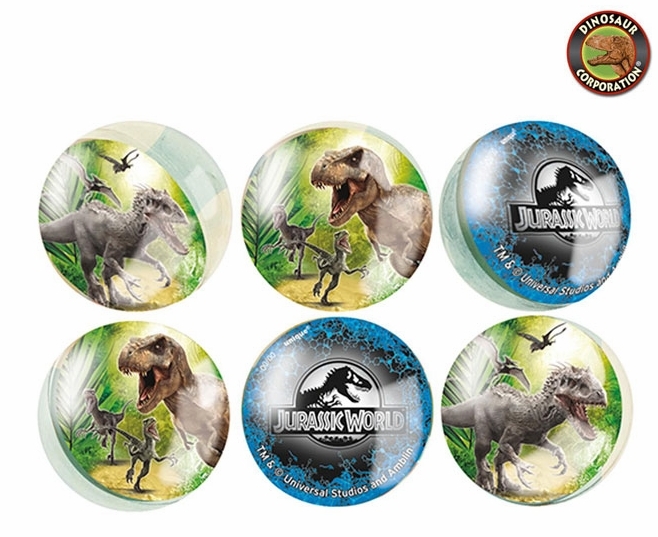 Jurassic World Bouncing Balls are featuring images of destructive dinosaurs T-rex and Velociraptor. These bounce ball party favors are a frightfully fun addition to a Jurassic World birthday party. Add these Jurassic World Bounce Balls to your guests� goodie bags or pack them into your Jurassic World pinata with other party favors. To create epic memories for your young dinosaur fans, coordinate with other Jurassic World party favors and party supplies.